Are you looking for a LloydsPharmacy discount code, voucher code or deal? Here are the best special offers from our community of bargain hunters. 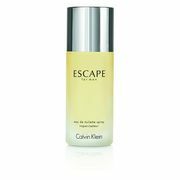 CK One Shock for Him EDT 100ml - Better Than HALF PRICE! Gillette SkinGuard Starter Pack - More Than HALF PRICE! Vera Wang Princess Noir Eau De Toilette 50ml - £30 Less! LloydsPharmacy is a British-based pharmacy company owned by Celesio, a German company. It has over 1,500 pharmacies and a website LloydsPharmacy.com. The company dispenses more than 150 million prescription items each year. Its headquarters is located in Walsgrage Triangle Business Park in Coventry, England. The company’s story began in 1973 as Lloyds Chemist when its founder Allen Lloyd bought his first pharmacy in Warwickshire, England. In 2015, the company acquire all 281 Sainsbury’s pharmacies. Today, LloydsPharmacy is one of the UK's largest community pharmacy chains, with more than 1,800 pharmacies across the country, mainly in community and health centre locations.. They are based at the heart of the community and offer services such as heart health checks, free blood pressure tests, free Type 2 diabetes screening tests, vaccinations and more. They are committed to healthcare for life and their vision is to be a great healthcare brand. Their main focus is their customers and they ensure only exceptional service and healthcare. LloydsPharmacy is much more than a dispenser of medicines. Prevention, management and treatment are at the very core of their business, and they aim to deliver high quality outcomes for chronic conditions, such as diabetes and heart health, and to support local communities in making informed health decisions. Find the latest LloydsPharmacy.com sales, discounts, voucher codes and coupon codes here at Latest Deals posted each month by our massive community of bargain hunters! Make sure to check out our latest deals for Superdrug and Boots for all your healthcare needs and more. What does Lloyds Pharmacy sell? 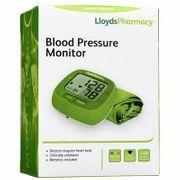 Through their pharmacies and website, LloydsPharmacy.com, they offer high quality healthcare products and services. Their own online doctor offers diagnosis and prescriptions for a range of conditions such as impotence, hair loss and cystitis. They’ve also launched a range of innovative and affordable products aimed at improving community health, such as blood pressure monitors and allergy relievers, along with a suite of convenient professional health check services, including free blood pressure and diabetes testing, and cholesterol and heart checks - all carried out in the comfort of a private consultation room. They also have a Great Offers section wherein you can take advantage of great savings of as much as 50% off on their select products! How do I contact Lloyds Pharmacy? You can send us your questions, compliments, complaints or careers enquiries via their Online Contact Form. You may call them on 0345 600 3565 (option 2). For Internet Customer Services and Online Pharmacy on 0345 600 3565 (option 1). You may contact their Online Doctor on 020 7989 9888. What are the delivery options for Lloyds Pharmacy? Standard postage and packaging: £3.95 on all orders up to £35. Next Day Delivery: £5.99. Orders made before 6pm Monday-Thursday will be delivered the next day. Orders made before Friday 6pm will be delivered on Monday. Orders placed throughout the weekend and before Monday 6pm will be delivered Tuesday. Not available in the Channel Islands. Click & Collect: Free. Orders placed before 6pm Monday-Thursday will be delivered the next day. Orders placed after 6pm on Thursday and all day Friday, Saturday and Sunday will be delivered on the following Tuesday. *Orders to the Isle of Man, Channel Islands, Scottish Highlands and Islands will take an extra day in addition to these delivery times. Click & Collect for Prescription Items: Click & Collect is now available for Private and NHS prescription orders however the service is not next day delivery. NHS prescriptions require confirmation from your GP and therefore we will send out the medicine before your required ‘Medication Due Date’. Private Prescriptions cannot be dispatched until you have sent your paper prescription to their FREEPOST address. You will receive an email, text message and call from our store staff when your medication is ready to collect from your chosen store. All orders over £35 (including the cost payable for any prescriptions in the same order) are delivered FREE via standard postage and packing - unless a discount code is applied. Private prescription medicines are delivered FREE via by Royal Mail Special Delivery by 1pm (all private prescription items have a minimum order value of £5.00). NHS prescription medicines are delivered FREE via Royal Mail Signed For Delivery (normal delivery charges will apply for non-prescription items in the same basket). How do I return an item to Lloyds Pharmacy? You have 14 calendar days to return your items from the date you received or collected them. Notify them of items you are not completely happy about. Orders cancelled are entitled to a refund of any standard postage paid for the delivery of your order, but you are responsible for any postage incurred in returning the items you wish to cancel. Unfortunately, we do not refund postage on return of part orders. If your unwanted items weigh less than 5kg you can return them either by post or to your local LloydsPharmacy store within 14 days of notifying them. Ensure that your package contains your completed returns form. A blank returns form is enclosed with your items. To return items to your local LloydsPharmacy store you will need to take your despatch note, along with the card you used to make payment, to the store so tehy can process your return. For more information read their full Returns Policy. Whatever you’re experiencing, LloydsPharmacy offer a FREE Pain Management Service, which involves a private, one on one consultation with your Pharmacist. They’ll take you through their Pain Control Test to find ways to help your pain, giving you immediate, personalised recommendations, as well as ongoing support. They may advise on simple adjustments to your current medication, or to your lifestyle, that could help you. If you have persistent pain, they’ll ask you to complete the pain diary attached to get an understanding of how it’s affecting your life, such as impacting your ability to get out and about, or affecting your quality of sleep. If they feel it to be necessary, they will refer you to your GP.